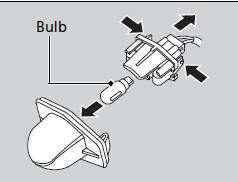 When replacing, use the following bulb. 1. 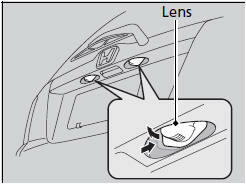 Push the lens on the left and pull out the lens and the socket attached to it. 2. Remove the license plate light assembly by squeezing the tabs on both sides of the socket.